Global Ventures | That All May Know. Global Ventures desires to bring the Gospel to the unreached regions of the earth and to share it with multitudes in a defining moment – to speak the truth of an all-redeeming and loving Savior. Each year, the ministry facilitates missions projects in several countries, many of which are in unreached regions of the world. Global Ventures has a multifaceted approach to strategic missions – Short-Term Mission Teams, Citywide Festivals, Service Projects, Church Planting, Discipleship Tools, and an Intensive Internship Program. 4 BILLION HAVE NEVER HEARD THE GOSPEL OF JESUS ONE TIME, AND 2 BILLION OF THOSE HAVE NO ACCESS AT ALL TO THE GOSPEL; NO CHURCH, NO BIBLE, AND NO LITERATURE. Be a part of meeting this great need, and join us on a Global Ventures Mission Trip! 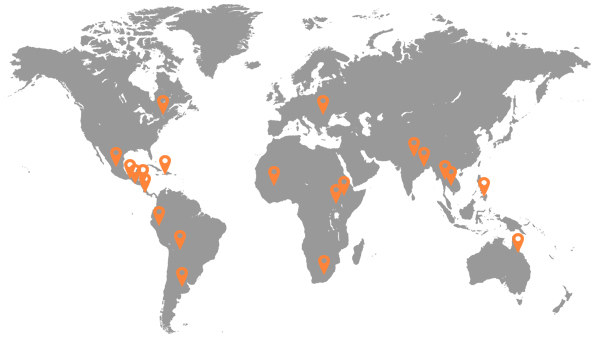 Global Ventures has taken teams to over 20 nations around the world. Each team member experiences hands-on ministry through drama, children’s ministry, and street evangelism. The teams get to be a part of radically changing various regions of the world through strategic evangelism and crusades. Global Ventures has conducted over 100 citywide celebrations around the world. Each of these festivals is designed to impact an entire region with the Gospel. The vast majority of the people attending the festival are non-Christians, and are given the opportunity to grow and become part of a church community. Global Ventures conducts service projects not only to meet the physical needs of people, but to be an outlet for reaching entire communities with the love of Jesus. In certain countries we assist with projects that address specific and practical needs with communities. We believe in leaving a legacy that will continue on to the next generation by training up disciples who can lead local churches and continue carrying the good news of Christ. In many regions, GV plants and supports the launch of new churches.